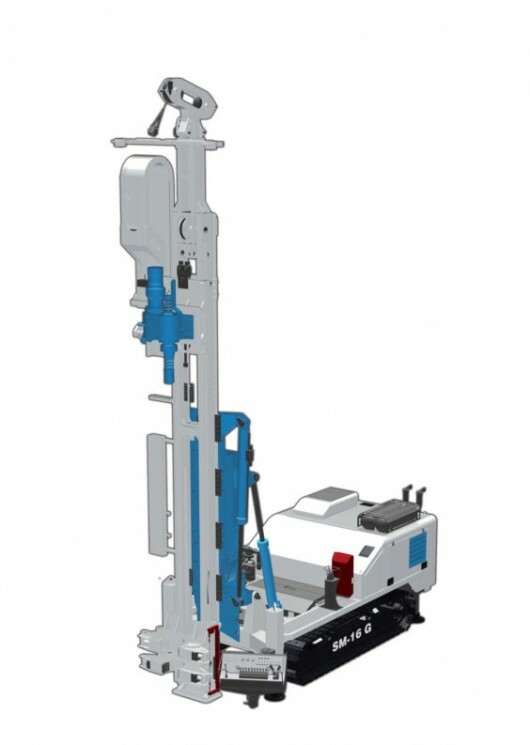 The SM-16G is part of the Soilmec range of soil investigation rigs and ground investigation rigs which have been specially designed for conventional continuous diamond coring and wire-line coring. This rig has been designed for deep core drilling. The high pull/push values and the high hydraulic power installed allows use of fast rotary speeds (over 1000 rpm) for conventional and wire-line diamond core drilling to great depths.